The TAR-3 Resistance Meter is Affordable and Available Now! It is in stock and shipped directly to you in four working days! The TAR-3 Resistance Meter is one of the new generation of geophysical prospecting equipment from RM Frobisher and has been supplied to professional archaeologists, groups and individuals. 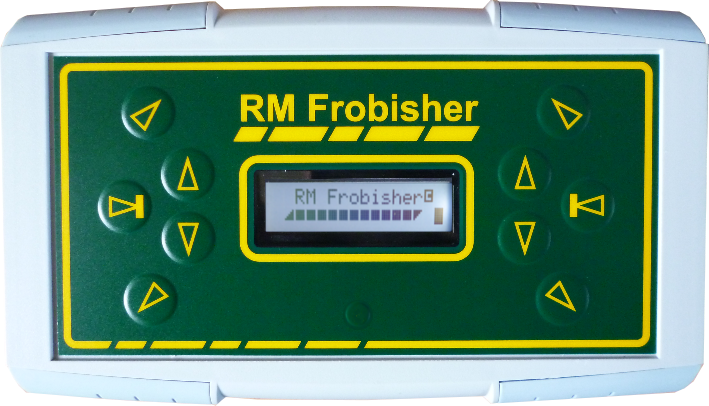 RM Frobisher’s TAR-3 Control Unit (Resistivity Meter) is powerful, lightweight and compact. * The TAR-3 is only 35mm high – it can fit in your pocket! If you already have a frame and probes contact us. We can supply a TAR-3, mounting adaptor and interface cables to match your existing equipment. We can also supply frames and probes for your existing equipment. Please contact us for details. 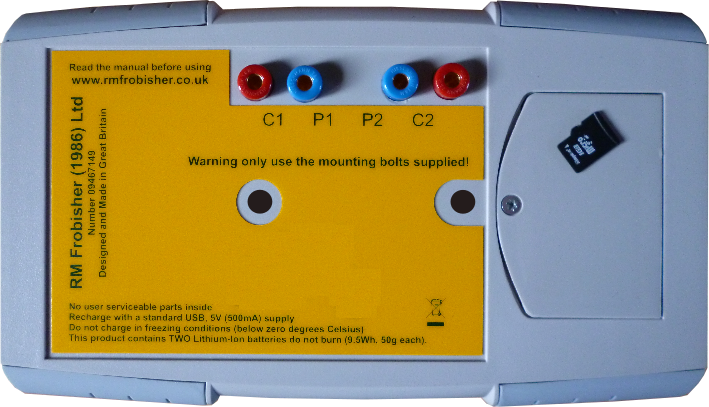 The rear of the TAR-3 Resistance Meter showing the gold plated 4mm sockets and a micro SD memory card.